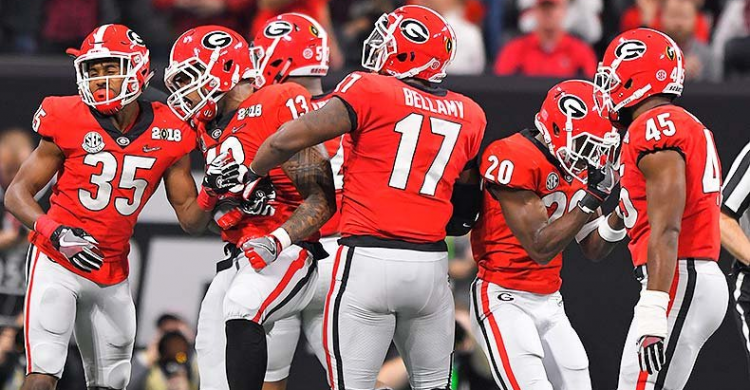 Nick Dunning takes you through his thought process as he delivers the best picks from a full day of college football Saturday action! It seems like it’s starting to be a theme here, but Buffalo is continually undervalued in Vegas. It’s probably due a combination of name recognition to the betting public and lack of action volume on the games themselves, but we find ourselves with another opportunity. Rutgers is a dumpster fire, having been outscored 107-17 over the last two games (losses to Ohio State and Kansas). Sure Buffalo isn’t as good as the Buckeyes,but they’re on par with Kansas, if not better. Tyree Jackson, Anthony Johnson, KJ Osborn and company keep on rolling this week. Sure Maryland embarrassed Texas on opening day, but that’s not enough to make me a believer. Especially when it’s followed with a 20 point loss to Temple. Minnesota is 3-0 against the spread this season and has felt like a pickbook staple along the way as well. Why mess with a good thing? PJ Fleck gets a big road win to open up conference play this week. Will Mississippi score 75 by themselves? Maybe, but we doubt it. While Mississippi has struggled at times on defense, they have much better athletes and will smother Kent State’s inferior offensive talent. Last week Penn State handled Kent State 63-10, and I expect this one to look very similar, staying under the total because there won’t be much help from the Flashes. This just in,Georgia is REALLY good. Drew Lock has repeatedly had his struggles against good teams, and I expect this Georgia defense to frustrate him and bottle up the Missouri offense. Meanwhile, the Mizzou defense isn’t a strong point and I expect the Georgia running game to dominate this line of scrimmage and have their way. Missouri may hang around for a half at home, but this one gets out of hand late and Georgia wins comfortably. Dare I say, Kansas football isn’t terrible this year? Yeah, that feels weird, but they’ve earned it. Pooka WIlliams has been a revelation this year and the defense actually appears to be taking the field this season. They’ve displayed much better fundamental football and I think they keep it going this week. Baylor has not impressed me, allowing 30 points a game to the trio of Abilene Christian, UTSA, and Duke (minus their QB). Kansas has entered the last two weeks as underdogs and outscored Central Michigan and Rutgers 86-21. This one is closer, but I’m betting Kansas can actually have a WINNING STREAK! I think if this over/would have been in the 90s, I still may have considered the over. Connecticut has allowed an impressive 55.7 points per game this season, and Syracuse has scored 49 points per game on their own. Translation - both teams want to play offense and get as many plays off as possible. I think UConn has a little more success offensively against a defense that I still don’t have any faith in despite last week’s effort against the Seminoles. While we really wish Kevin Sumlin would let Khalil Tate loose, Arizona looked better last week in a “get-right” game against Southern Utah. Oregon State, meanwhile,is one of the worst teams in the FBS. Tate’s ankle is supposed to be improving,and we like them to handle their business on the road this week. Good Texas or Bad Texas this week? While I think Texas will play well again, it won’t matter because TCU is both better and more consistent. Coming off of a rough loss to Ohio State will be difficult, but I think the TCU defence makes the difference in this battle for state supremacy. They’ll force a couple of big turnovers that will swing the tide and lead them to a big bounceback victory. North Texas has felt like another pickbook staple, but they’ve been good to us so we’ll go back for more. This week they travel to the newest FBS school, Liberty. North Texas is coming off of a big road win at Arkansas, so there is some risk of this being a trap game before they begin conference play next week, but I think the high they’ve been riding will be enough to carry them through against a less talented team. They may get off to a slow start, but I expect Mason Fine and company to keep opening eyes around the country. LSU has looked really good this season, with big wins over Auburn and Miami. Louisiana Tech is not either of them, yet they’re still giving up less than 3 TDs. Generally, I like the Skip Holtz led offense of Tech, but they won’t have the time to get the ball downfield and stretch the field like they typically do. The LSU defense will dominate them and Tech’s defense is too undersized to compete with the likes of Nick Brosette and the offensive line he runs behind. With an off week last week, Michigan State has had 2 weeks to chew on their road loss to Arizona State. That also means they’ve had 2 weeks to hit the reset button to their season and clean up a lot of the mistakes they’ve made over the first two games. That doesn’t bode well for Indiana, who hasn’t played anybody of note on their way to being 3-0. Sparty rebounds in a big way and reminds people why they were expected to contend for the Big Ten East division crown.